The Kinect v2 arrived | Are there parrots on Java? 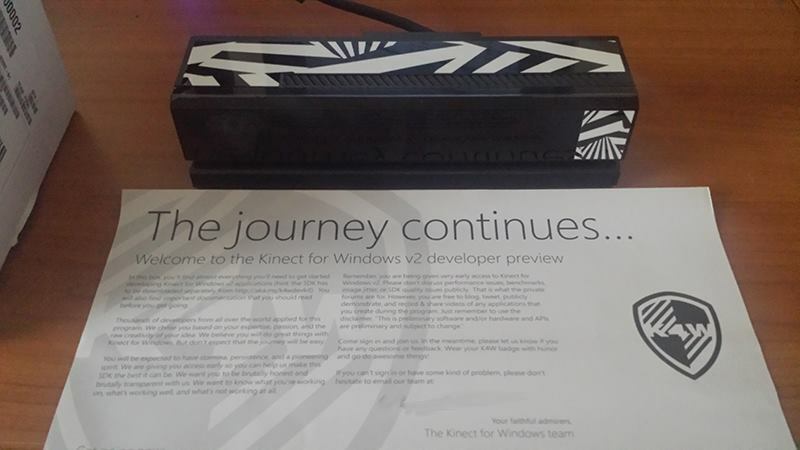 Finally, the Kinect developer preview arrived. We’re so excited and eager to try it out. Next stop will be to fly the drone using the Kinect. So stay tuned. I have also finished working on a better Reveal.js leap motion plugin. The new version is much more precise and user-friendly than the original one. I will publish the plugin within the next few weeks. This entry was posted on Sunday, December 29th, 2013 at 2:57 pm and is filed under Intel RealSense, Perceptual Computing, Gesture Control, 3D-depth camera. You can follow any responses to this entry through the RSS 2.0 feed. You can leave a response, or trackback from your own site.